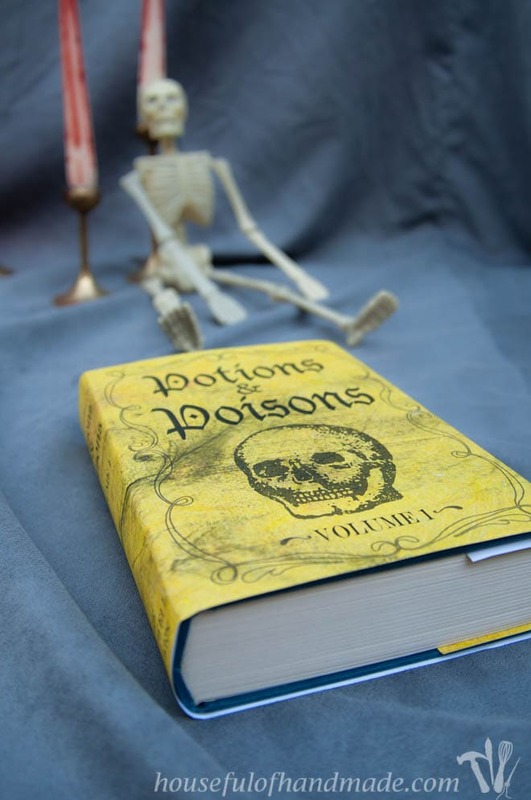 Get ready for Halloween with these easy to assemble printable Halloween book covers. 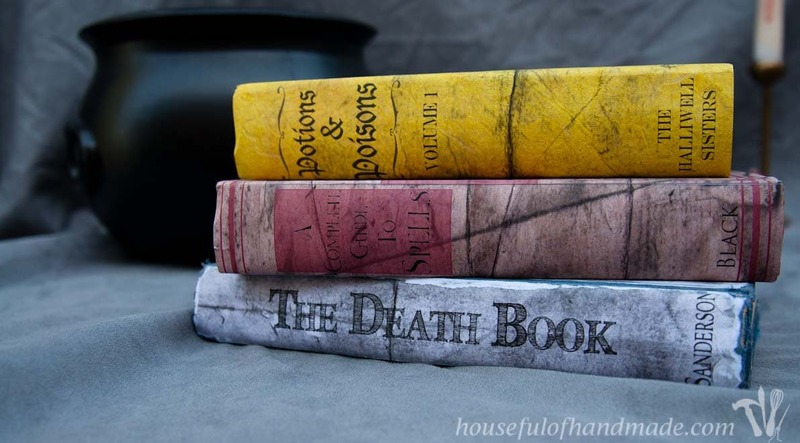 There are three different covers available and can be scaled to fit any book. Instantly add Halloween decorations to your home with these printable Halloween book covers. Three fun printable book covers are based on classic Halloween movies. The covers can be folded around any book or Mod Podged to an old thrifted book. Ha ha, I know it’s barely September but I am ready to start with Halloween. I have lots of other projects in the works, like the console table I have been working on for the last couple months (okay the table is actually done and in use, but I am working on the finishing touches and illustrating the plans) and a little girl’s birthday party at the end of the month. But I took a couple days break from all that to indulge myself in some Halloween fun! In case you didn’t notice… I am a huge fan of Halloween. And especially Halloween decorations. I love to transform my house into a fun, creepy, spooky house. I have boxes of Halloween decor and I get giddy when it’s time to pull them out. Who’s with me? Cause if you are, let’s start decorating for Halloween. Now this craft is nothing new. I’m sure you’ve seen it all over Pinterest. I bought some books last year at the thrift store to make some book covers… but never did. So this year, it is was at the top of my list to complete this project. And with my new found love of Illustrator, I knew I had to design my own creepy Halloween book covers. 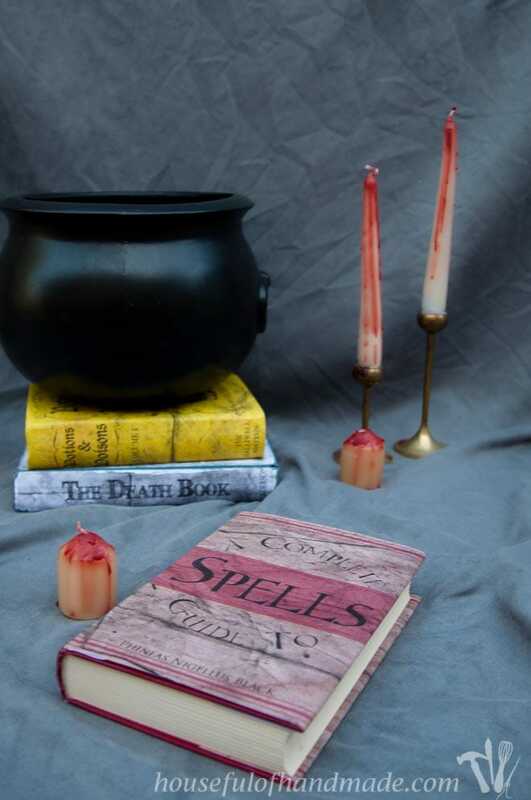 And when you think of witches, you can’t not include Harry Potter, so I made the spell book with a little Potter inspiration! 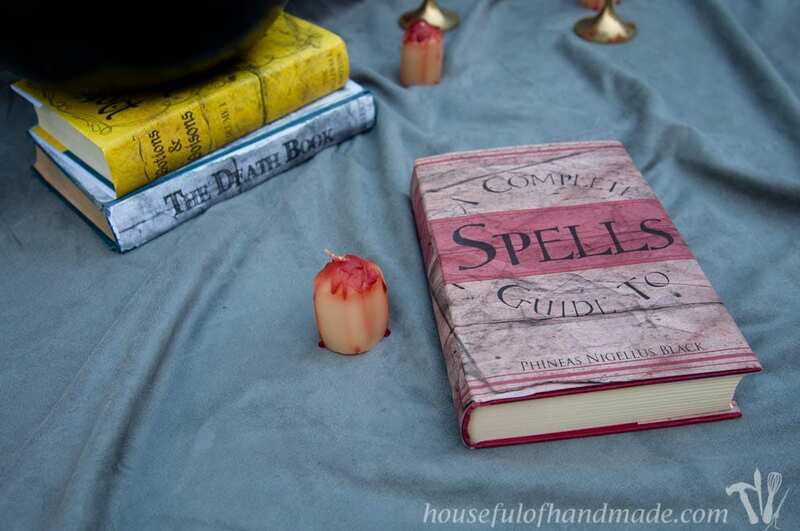 How about a school text book, A Complete Guide to Spells. For the last book, I wanted something really dark. 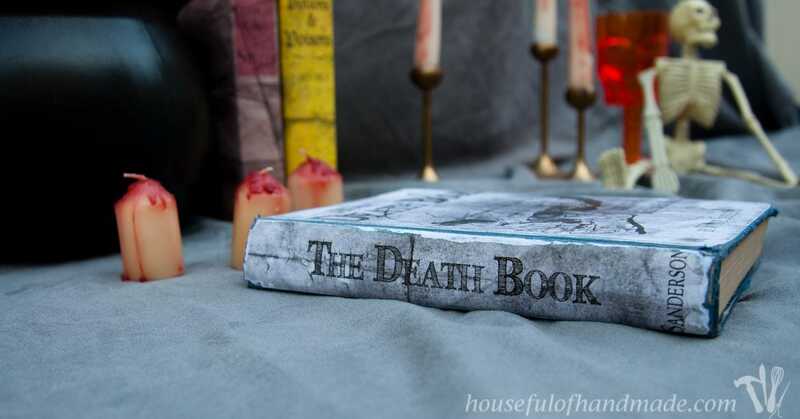 So I decided on the Death Book, what witch doesn’t need a book listing all the ways you can die? And when I think Halloween movies, you can’t skip over Hocus Pocus, it’s a classic. So with the evil sister’s help, I created the my scariest book. So all the books were done and ready to print and create. 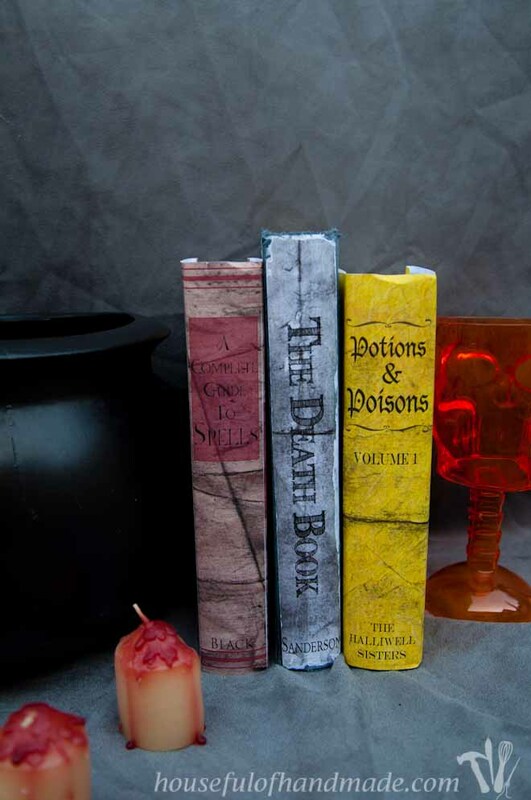 These are so simple to put together you will be ready for Halloween in no time. If you want to make your own Halloween book covers, click the arrow below for all the details. 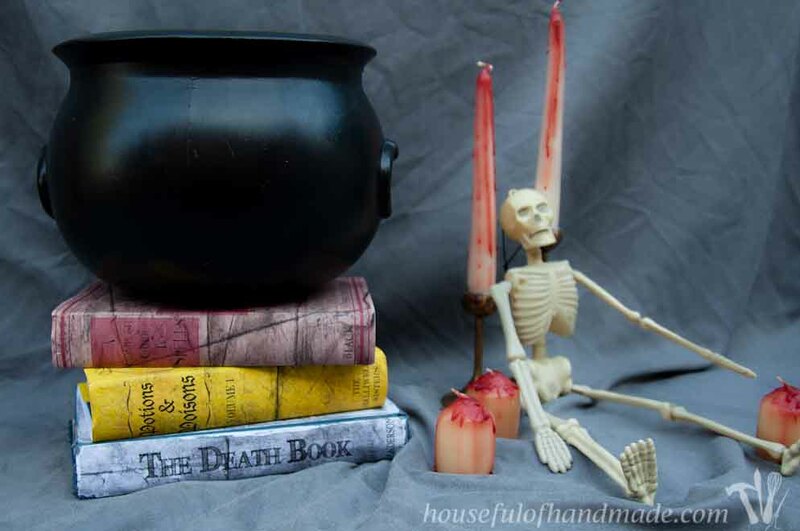 And don’t forget to check out all the rest of my Halloween tutorials for more fun Halloween decor.